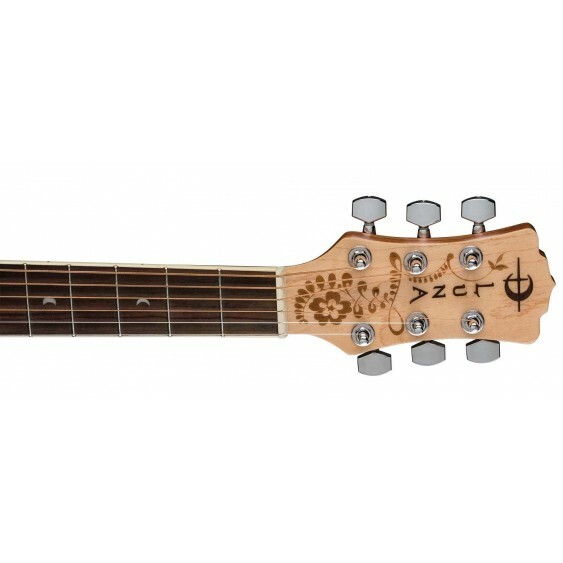 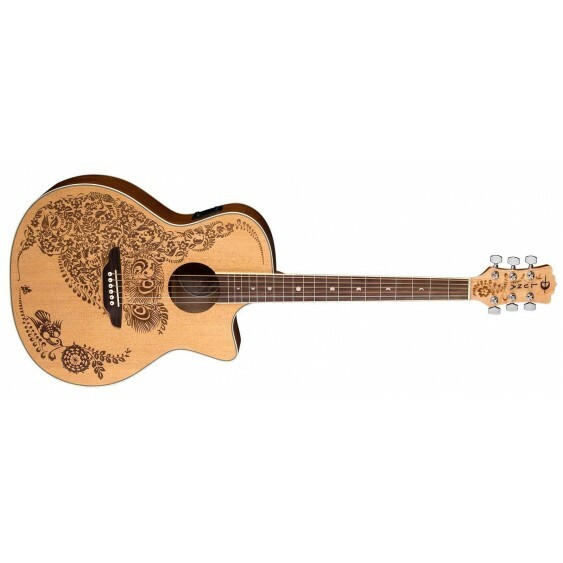 The Henna Oasis guitar transports players to a magical world of visual and auditory delights. 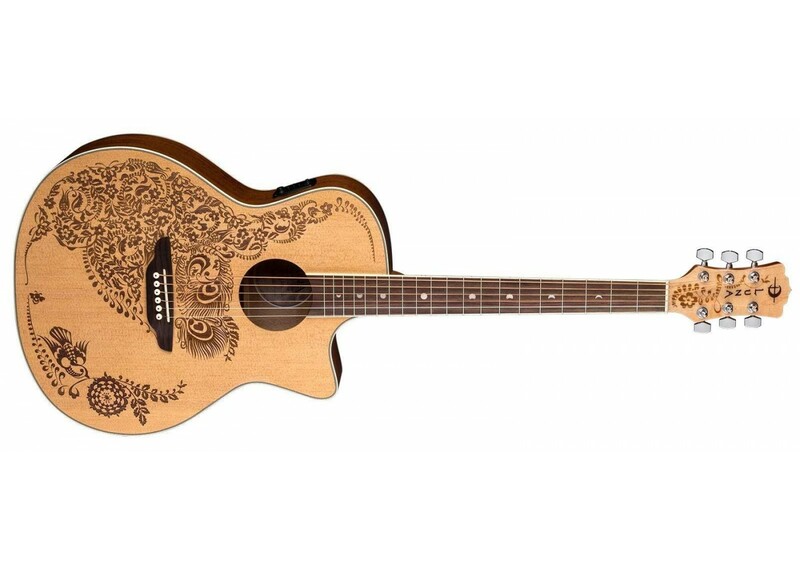 An acoustic-electric guitar built on a folk body design, people are captivated by the beautiful laser-etched Henna Oasis design on a select spruce top. 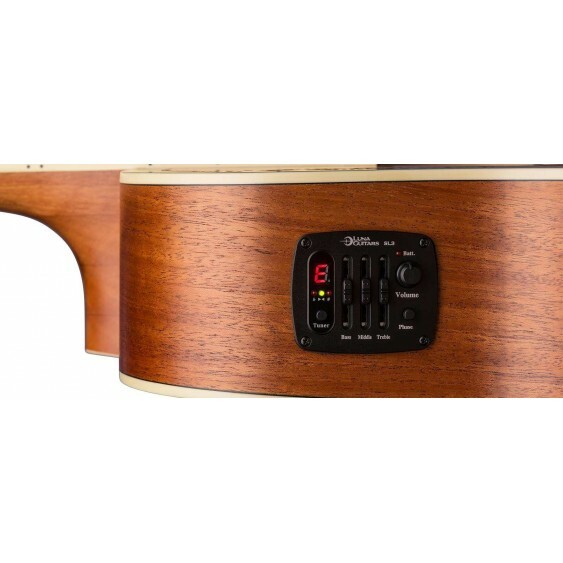 A slightly smaller body type, you can still expect that warm and vibrant sound. 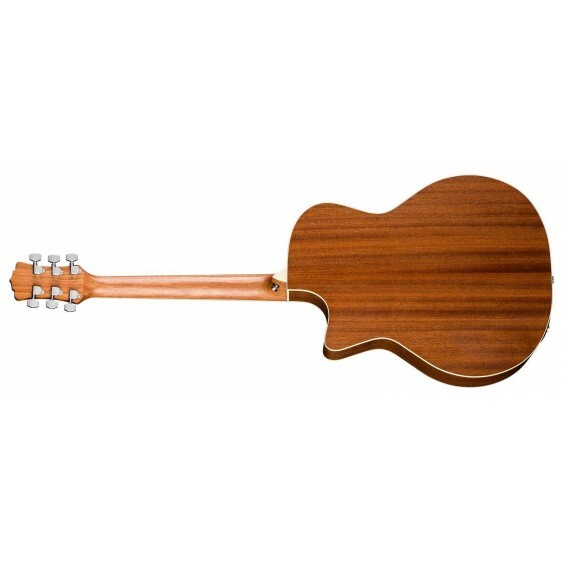 The mahogany back and sides with a select spruce top create rich definition from note to note, with plenty of presence and unique character when playing rhythmic chords. The 25-1/2" scale, C-shape neck design, and 1-5/8" nut width add comfort for performing intricate progressions on the rosewood fretboard. 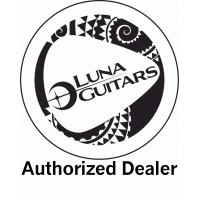 The Luna SL-3 pre-amp with built-in tuner faithfully recreates the amplified sound of this impressive 6-string. 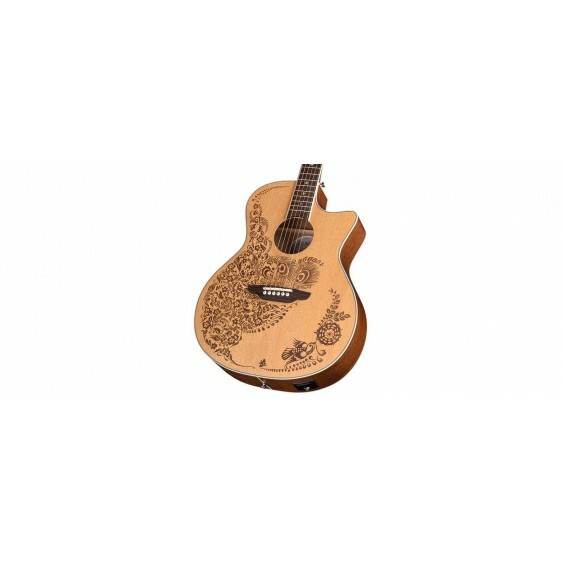 Designed by UK Henna Artist Alex Morgan.